Last year’s release of Dishonored 2 left something to be desired. A slew of technical issues and an unfocused story with a rushed opening chapter hampered a game that otherwise made some great improvements on the Dishonored formula. 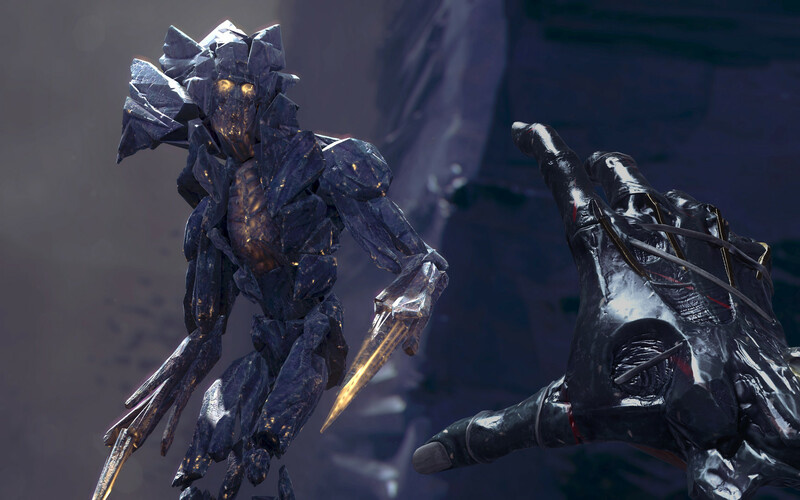 Death of the Outsider aims to rectify these issues while streamlining core gameplay mechanics and does so admirably, but loses some of its depth in the process. In this stand-alone expansion you take on the role of Billie Lurk, a former assassin turned boat captain turned assassin again, who has spent most of her time following the events of Dishonored 2 looking for her former mentor, Daud; who, as it turns out, has gotten himself into a bit of a pickle and it’s up to Billie to rescue him. This leads into a small and focused introductory level which sole purpose is to gradually introduce the player to its mechanics. It’s a controlled environment that does a wonderful job of preparing both new and experienced players for what’s in store. After rescuing Daud from The Eyeless, a criminal organisation made up of cultists and one of the main enemy factions in this expansion, you learn the old man has been looking for a way to kill The Outsider; a constant presence in the world of Dishonored who sees, hears, feels and manipulates everything and everyone. He is also the one responsible for the fun murder powers you’ve been using throughout the series. This is certainly not an easy task and Daud’s age prevents him from accomplishing much on his own, which is where Billie comes in. The overall story isn’t particularly unique, but it’s consistent. With a main cast that is both well written and well-acted, combined with a logical explanation for the origin of one of the series most mysterious characters, this makes for a nice wrap up to a long running arc that left me very satisfied in the end. Unlike previous instalments, Death of the Outsider is less focused on assassination and more on preparation. Finding all the bits and pieces to be able to face off against The Outsider is how you’ll spent most of your time in this game. Gone are the smaller targets leading up to the final confrontation, instead playing more into the Thief influences of Dishonored and having you, well, steal things. Which, while providing an interesting mix-up for the formula, means there are no longer multiple ways to accomplish your objective. To me, seeing the unique non-lethal ways in which you could get rid of your targets was a big part of the original two games’ appeal, and it saddens me to see that aspect go. However, this installment also ditches the high/low chaos morality system, leaving much more room for mixing up your play style and experimenting with the different lethal and non-lethal tools at your disposal without impacting the ending. The result is a mission structure that provides the player with more freedom, but less depth. Visually, DotO retains the franchise’s striking art direction; detailed characters and environments look like they’ve jumped straight out of a piece of concept art. 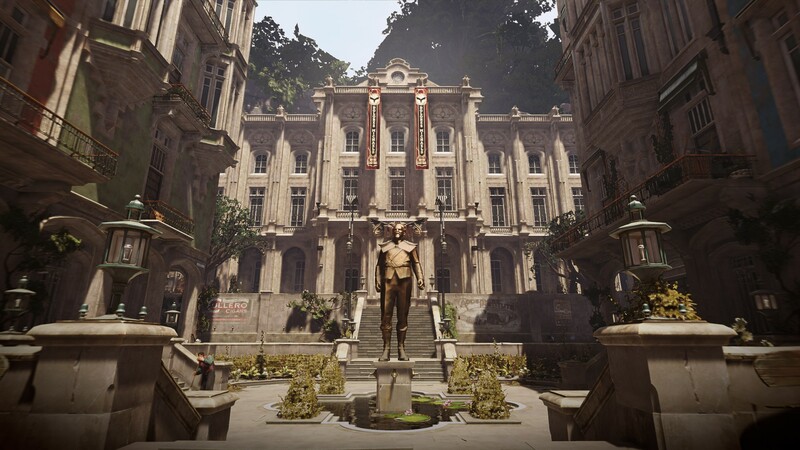 The same goes for the level design, which, while presenting a decrease in variety (even going as far as to re-use a level from Dishonored 2, albeit with a slightly remixed layout and some different enemy types), maintains a wonderful amount of opportunities for exploration. For example, there are now contracts that you can take on. These give you little side objectives such as assassinating an NPC, finding a certain piece of loot or recovering a specific document. Aside from that there’s more hidden loot, letters and books full of lore or alternate paths towards your objective. All of this is just as satisfying as it’s always been and the sheer amount of detail Arkane puts into these little sandboxes creates a world that feels realistic and lived in. With a new protagonist come new powers and with new powers comes less responsibility apparently. Death of the Outsider provides you with 3 pre-set powers and no way to upgrade them. Runes are no longer a part of the things you collect around the world and while bone charms are present, there’s no way to dismantle them and craft newer, more powerful ones. Various weapon and gear upgrades can still be purchased through the various black market shops. However, most of them will prove useless if you’re planning on doing a ghost run. The lack of these customization options is disappointing, especially since the new powers aren’t the most exciting either. Displace and Foresight provide a replacement for the usual teleportation and seeing through walls powers as seen in previous games. They provide slight twists to the way they usually work, with Displace placing a marker within the environment that you can teleport to, instead of teleporting you instantly. This allows the player to quickly escape dangerous situations by teleporting to a previously placed marker. Foresight gives the player a kind of out of body experience, freezing time and allowing you to freely move throughout the environment (within a certain radius) to scout ahead, see through walls, mark both people and objects and place a Displace marker for later use. This last ability plays into some of the games’ puzzles and while this makes for some cool gameplay, the powers simply aren’t very practical. Displace is clunky and I found myself rarely using it to plan ahead, since the markers disappear once you move a certain, relatively small distance away from it and you’re not able to teleport trough walls. Foresight, too, is simply a clunkier version of the power it replaces. I liked being able to see items and enemies through walls as I approached them, the marking system simply adds an unnecessary step to the process of item collection and environmental awareness. It also drains you mana incredibly quickly (mana which now automatically replenishes instead of needing to collect elixirs, which is a welcome improvement), never really giving you enough time to properly assess your surroundings. The final power, Semblance, is the only one of the three that provides meaningful improvements over the ability it’s replacing. It basically functions like Possession, letting you steal an enemy’s identity and allowing you to easily bypass other enemies. But unlike possession, you don’t take over an enemy’s body. It simply disguises you as them. This means you don’t need a conscious (or live) enemy to use the power on. Once you’ve disguised yourself this power also gives you more freedom in both your movement and the actions you can perform, such as combat. Whereas with Possession you couldn’t interact with much and you were limited to a very slow walking speed. Overall the new powers are functional and creative, but not necessarily better. Dishonored: Death of the Outsider provides a welcome step up from Dishonored 2. With a satisfying wrap up of an ongoing story, a number of technical improvements, the removal of a game-wide morality system allowing for more experimental gameplay and the incredible visual and level design you’ve come to expect from Arkane. And while disappointing new powers and some overzealous streamlining of existing mechanics prevent it from matching the greatness of the first game, this 10-hour expansion is a worthwhile addition to the franchise and certainly worth the asking price.